Aaron is an Associate in Global Restoration Initiative within the Forests program. He is the project lead for WRI’s landscape restoration work in Kenya, and is also involved with projects in Central and South America. He has skills in GIS analysis, project management, and workshop facilitation. He is also knowledgeable on the topics of land use planning, deforestation and forest degradation, landscape ecology, wildlife management, community engagement, monitoring, and natural resources management. 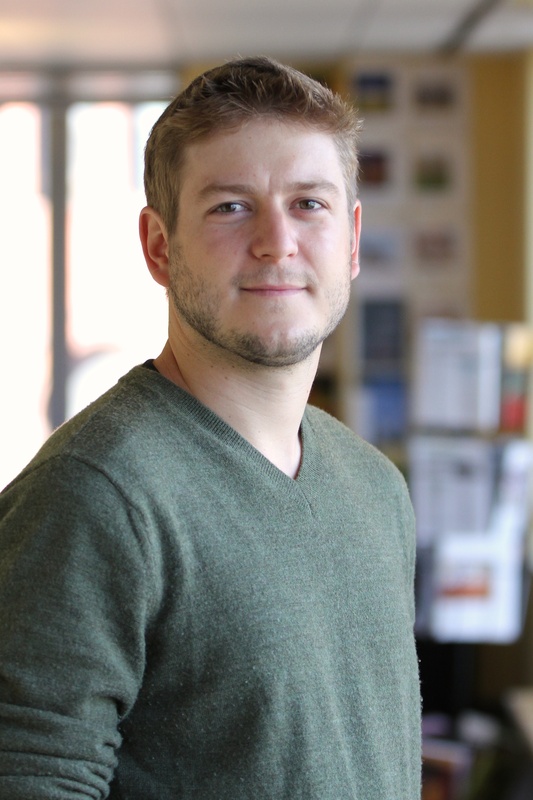 Prior to joining the Forests team, Aaron was a project coordinator with the Ross Center for Sustainable Cities, working with the Health and Road Safety program. He helped administer WRI’s largest grant at the time, aiming to address road safety and public health challenges across the globe. Before joining WRI, Aaron worked with the Student Conservation Association as a crew leader, designing, building and maintaining hiking trails and recreational areas in the Sierra Nevada Mountains in California. He has also worked as a research consultant for the Rainforest Alliance, updating the SMARTWood database of sustainable wood product companies for North America. Aaron grew up living overseas, including Niger, Benin, and Bolivia, and has traveled extensively throughout Central and South America and East Africa. He holds a master’s degree in environmental sciences and policy, with a concentration in environmental management from Johns Hopkins University in Washington D.C., and a bachelor’s degree in international business administration from The College of New Jersey, with a minor in Spanish. Aaron's interests include photography, restorative agriculture, ecological restoration and ecotourism. The country’s commitment to restore 5.1 million hectares of degraded forests and drylands into productivity adds to a growing, global movement. Penduduk Indonesia dan Singapura beberapa minggu belakangan mulai bersiap-siap sehubungan dengan peringatan WRI dan beberapa institusi lain bahwa musim kemarau tahun ini terindikasi akan menyebabkan lonjakan api di Pulau Sumatera, ditemani dengan kabut asap beracun di sekitar kawasan. Indonesia and Singapore have been bracing themselves in recent weeks as warnings that this year's dry season would likely herald a severe spike in forest fires in Sumatra, with toxic haze across the region.